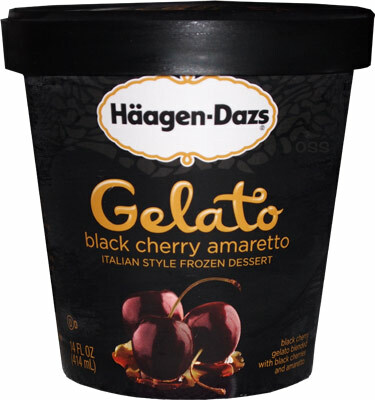 [2013-2016] So we've been working our way through most of the new Haagen-Dazs gelato flavors despite the fact that they don't really remind us of gelato. That said, they're still good and readily available, so it only seems fair to try them all. 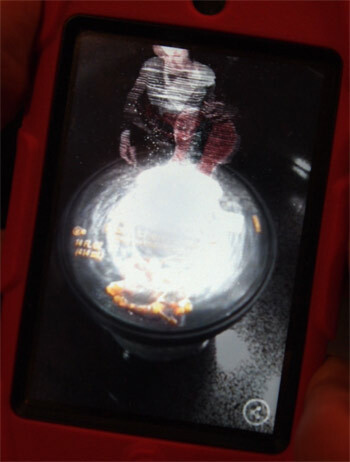 So the reason I bought this particular pint was to try out the new Haagen-Dazs Concerto App. Basically you grab it from the itunes store here, start it up, and then aim it at the top of pint. The app senses the Haagen-Dazs logo on top of the pint and then proceeds to play you a two minute concert while the gelato tempers. At least, that's what is suppose to happen. Simply put, this app is just plain terrible, at least on older tech. It was having a ton of trouble with my wife's not-latest-gen ipod touch. As soon as you move the camera focus off the pint, the concert stops and it starts searching for the pint again. Plus, sometimes it would play both the violin and cello at the same time. Maybe you'll have better luck with the latest and greatest hardware, and granted I was trying to take this picture, but for me this was just painful. I'd rather play a round of temple run 2. Ok, back to the gelato. Wow. Lots and lots of cherries and nice coloring overall. There's only a few things to comment on when you have a straight cherry flavor: How potent - How much bite - what's the texture. Last question first: it's got a nice creamy texture (as with the other flavors, it reminds you of ice cream, not gelato). Now it definitely has bite, but it grew on me. It's such a high quality product that it's hard not to dig it --- Ok, hold on one sec, I only gave myself a tiny serving so let me grab some more. Now I made my daughter try a bite first and she was going to have none of this, and I get it. The first few bites threw me off a a little too, but they kind of dialed this one in just right if you give it time. It's got bite, but it's engaging. I started thinking about cherry coke and I think that helped lock me in. This isn't going to be something I rush out for, but I'm totally enjoying my bowl of it. I'll admit it, I have never understood giant cherry chunks in an ice cream (or gelato). It's just too much of a shock for me. I don't want to jump back and forth between two texture worlds like that. They've done it properly here though. The pieces ranges from slivers up to noticeable-but-not-annoying chunks. I never get shocked away from my creamy vibe, and I really appreciate that. Haagen-Dazs brought their A game (as always) and it pays off here. I think cherry lovers will adore the quality of this flavor. Sure, there will always be the "where's my chocolate chips?" crowd, and that's cool, but nice job H-D, real nice job. Is it better than Cherry Garcia? 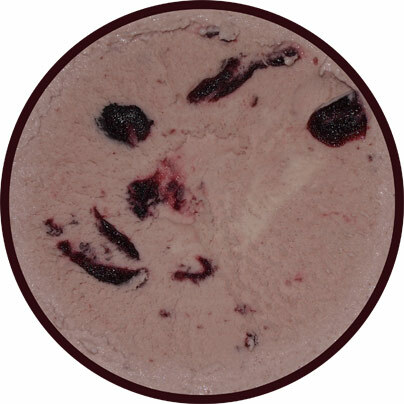 I'm not a big fan of chips in my ice cream, and I do love chunks of cherries and this one does it for me every time. I think the amaretto gives it a more adult taste than a cherry vanilla flavor. I adore it!! All cherry flavors are better than Cherry Garcia. Heck, froyo cherry garcia is better than the original. I have never had Cherry Garcia ice cream, just the Cherry Garcia froyo and I remember loving it. I assumed it would be similar to the ice cream but I guess I am wrong. @stride: it's not that cherry garcia is bad, in fact it's my wife's very favorite flavor (ice cream or froyo), it's just not locked in for me. 4me it's better than cherryGarcia! I was disappointed. Not Amaretto flavored and not gelato textured. If I had to choose one HD flavor for the rest of my life this would be it. I would rather choose at least 5 or 10 for the rest of my life though! The amaretto flavor is strong so those who don't care for amaretto or a strong almond flavor won't like it. I love that the cherries are dark, there are plenty of them and they are soft. I agree I don't like chocolate chips or chocolate candy of any sort that is hard when frozen in my ice cream. Chocolate syrups/swirls/cookies are so much better! if it was so good, why did they cancel it two years ago?